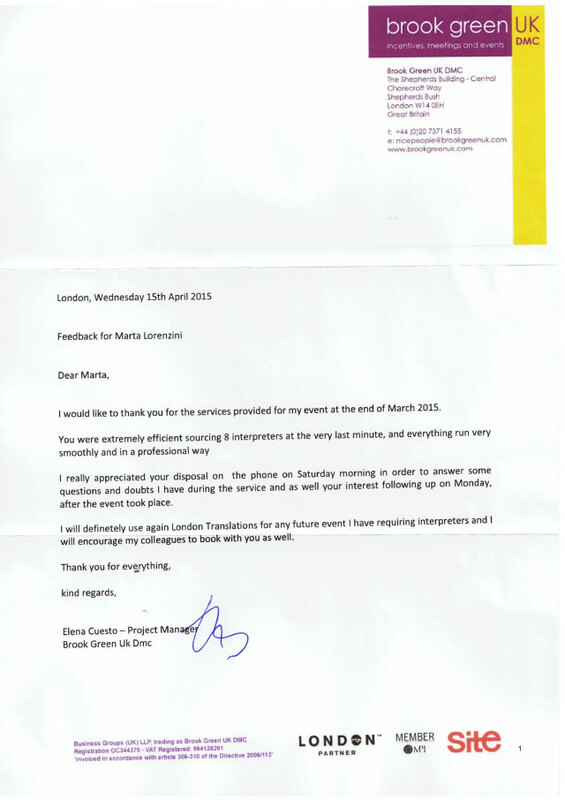 I would like to thank you for the services provided for my event at the end of March 2015. You were extremely efficient sourcing 8 interpreters at the very last minute, and everything ran very smoothly and in a professional way. I really appreciated your disposal on the phone on Saturday morning in order to answer some questions and doubts I have during the service as well as your interest following up on Monday, after the event took place. 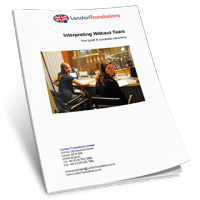 I will definitely use again London Translations for any future event I have requiring interpreters and I will encourage my colleagues to book with you as well.